The fair and accurate reporting of court proceedings has long been protected from libel action by the defence of “privilege”. Contemporaneous fair and accurate reports of court proceedings in public are now protected by absolute privilege and other fair and accurate reports by qualified privilege. In the former case no libel action can be brought, in the latter an action will only succeed if malice is proved. But what about reports of documents which were placed before the Court but which were not read out in open court? Surprisingly, the position remains unclear. Nevertheless, despite the absence of clear statutory or judicial guidance I believe that there is a strong argument that fair and accurate reports of such documents would attract the same privilege as reports of what is actually said in court. “The common law, on the ground of public policy, recognizes that there may be greater danger to the public in allowing judicial proceedings to be held in secret than in suffering persons for a time to rest under an unfounded charge or suggestion”. The Law of Libel Amendment Act 1888 introduced statutory privilege which was thought to be absolute (in other words, it could not be overcome by proof of malice). There is now a clear defence of absolute privilege in such cases, set out in section 14 of the Defamation Act 1996 (as amended by section 7 of the Defamation Act 2013). Reports which are not contemporaneous are covered by statutory qualified privilege (see section 15 and Schedule 1, para 2 of the Defamation Act 1996). 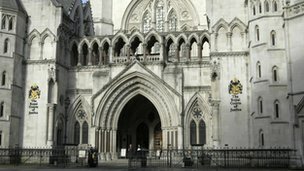 There is no doubt that these privilege defences apply to evidence given in open court, to submissions that are made and to the contents of documents which are read out. But what about documents which are handed up to the Judge but never actually read out in public? The fact that documents are lodged with the Court in civil proceedings will not, of itself, attract privilege. But what about documents which are read by the Judge but not read out in Court? This is increasingly important in practice as Witness Statements or Skeleton Arguments are often lodged and read by the Judge but not read out at the hearing. There is a public right to access to documents read by the court as well as to statements of case and to Skeleton Arguments. The right of access to Skeleton Arguments has been justified, in part, on the basis that words in written submissions are treated “as if they had been deployed in oral argument in open court” (see R v Howell and others  EWCA Crim 486 ). The editors of Gatley on Libel and Slander (12th Edn, 2013) suggest that “it would seem odd” if a newspaper which relied on a witness statement put in evidence but not read out in open court were to be deprived of the protection of privilege (para 13.48) but do not express a concluded view. The issue does not appear to have been decided in any libel case. This may be because, until recently, the media had considerable difficulty in gaining access to court documents and so had to rely on what was said in open court. This is no longer the position and, in line with the strong policy considerations set out in the Guardian News and Media case there is a powerful argument in favour of extending privilege to reports of the contents of documents which are put before a Court but not read out. The statutory reference to a “report of proceedings in public” should, in my view, be interpreted as covering a report of not just oral evidence and argument but also evidence and argument put before the Court in writing. The reportability of witness statements, skeleton arguments and other documents read by the court should not depend on the question as to whether someone has actually read them out. Such documents should attract the same privilege as things which are said in open court. This is the only approach which is consistent with the open justice considerations which have long been the governing principle in this area. I would like to thank Mike Dodd of the Press Association and “Media Lawyer” for his assistance in relation to the writing of this post.